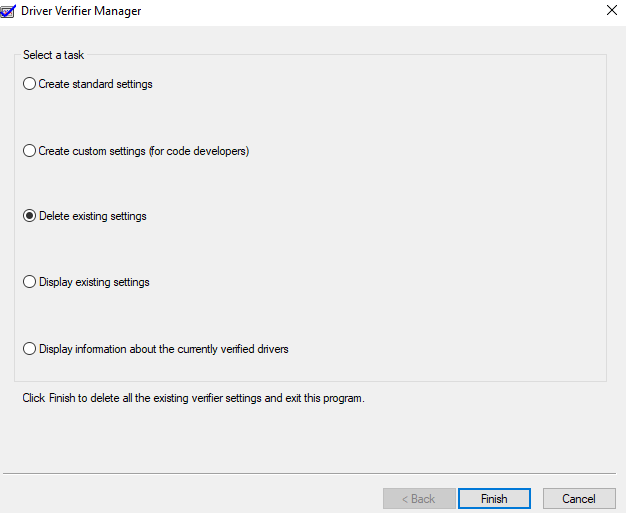 Driver verifier is one of the diagnostic tools that are built in Windows 10 basically, “Driver Verifier” verify Microsoft and third parties drivers. There is a proper verification process in which drivers are put into extreme stressful conditions. This makes the old outdated and incompatible drivers to crash. As a result, Blue Screen of Death appears which contains debugging report of concerned drivers. Just to remind you again that Driver Verifier is an extreme condition tool which can make your drivers sluggish, slow and in competent in the long run. This will be done by following the below-mentioned steps as you can open ‘Driver Verifier’ by following ways. Type ‘Verifier’ in the search bar and click ‘Verifier Run Command’ when appear. You can also search for ‘Command Prompt’ and type formerly command. Then, press ‘Enter’ to run it. Open ‘Task Manager’. Create a task and then click to open the ‘Verifier’. Then, click on the ‘File’ and then click again on ‘Run New Task’. 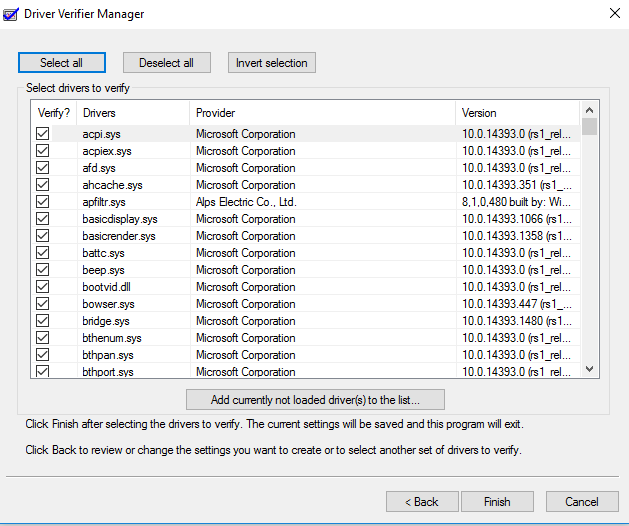 A window ‘Driver Verifier Manager’ will prompt with the options. Select ‘Create custom settings (For code developers)’ and then click ‘Next’. New options will appear on the screen. Click ‘Select driver names from a list’ then again click ‘Next’. 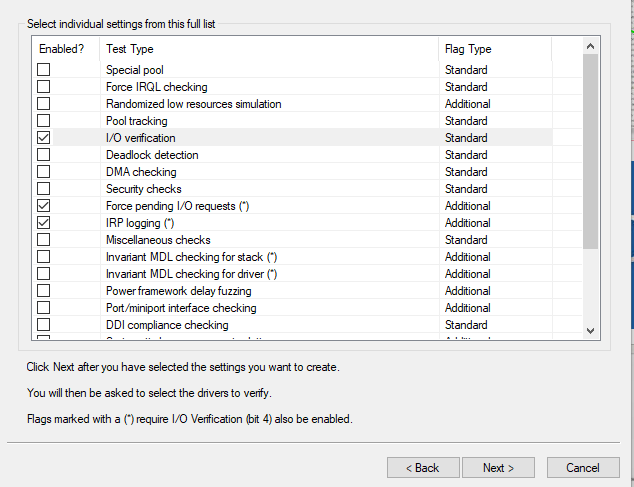 Tick the boxes next to ‘IRP Logging’, ‘Force pending I/O requests’, and ‘I/O verification’. After clicking all aforementioned options click ‘Next’ button. Another list will appear on the screen has all the drivers available. Tick all the boxes next to which third parties’ drivers are available. For your convenience, refer the column ‘Provider’. Tick all the provider other than “Microsoft”. Then click ‘Finish’ when you are done selecting all the third parties’ drivers. 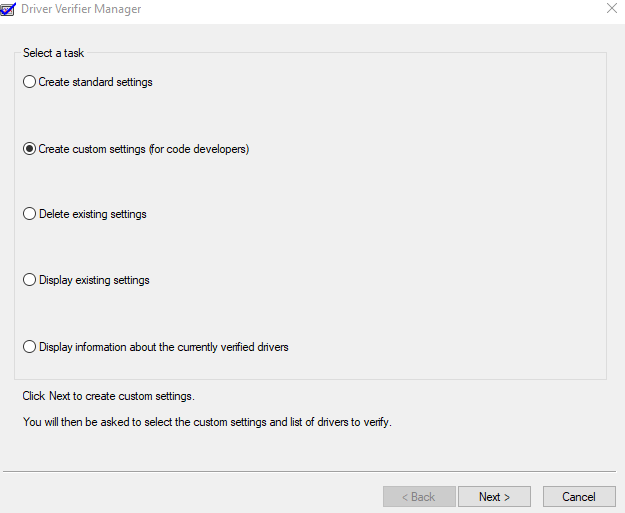 Now we will learn how to disable this feature, just run the ‘Verifier’ again as mentioned in above steps. Select ‘Delete existing settings’ and click ‘Finish’. 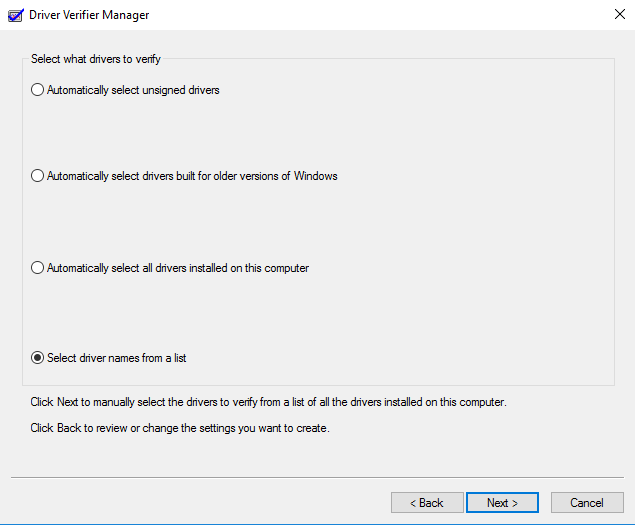 These are the steps to enable or disable drivers verifier.